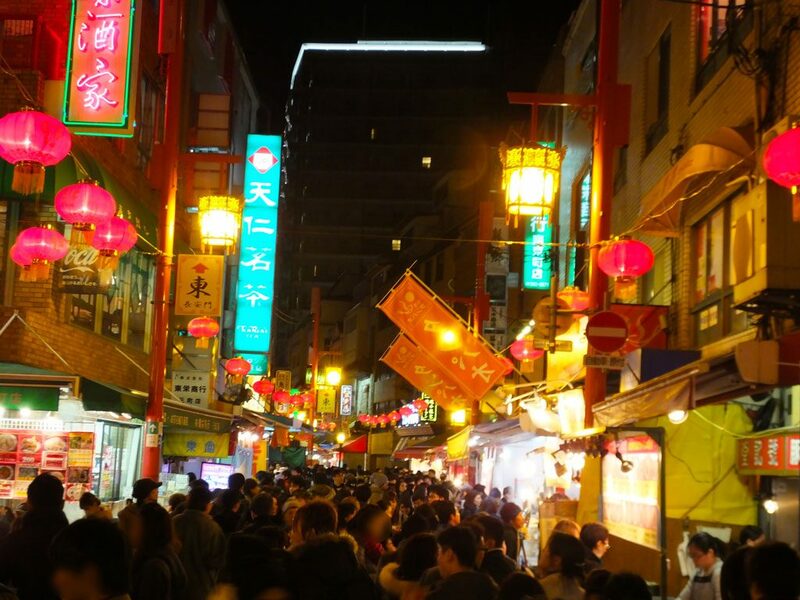 Nankin-machi Lantern Fair is a festival of Kobe Chinatown (Japanese: Nankin-machi) that is a popular tourist attraction in Kobe. 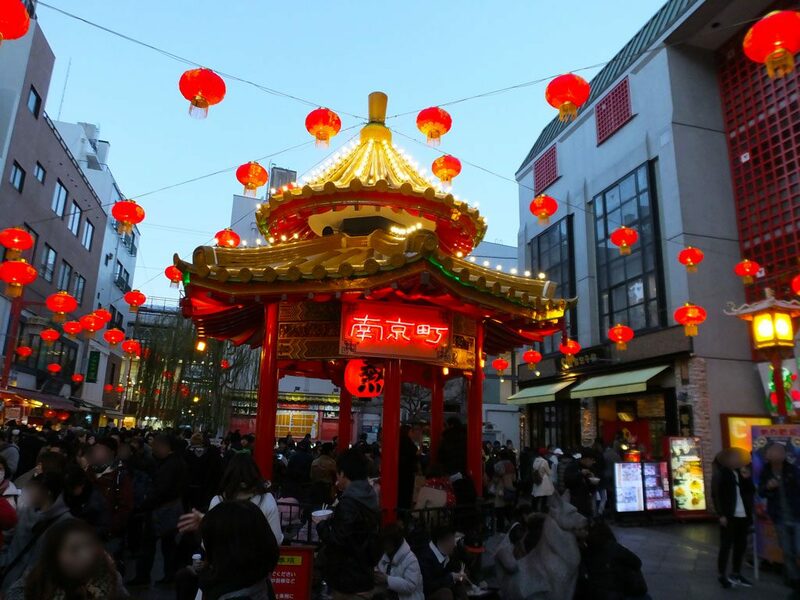 More than 400 red lanterns are hung above the Chinatown, and you can enjoy the oriental atmosphere. 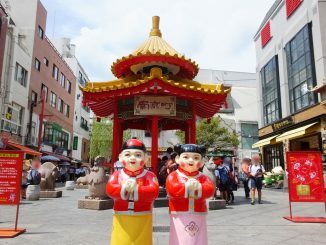 On the first day, the lighting ceremony is held in which firecrackers are set off and there is a mini Jazz concert, too. Sometimes it is crowded, but the visitors can enjoy themselves at their own pace. 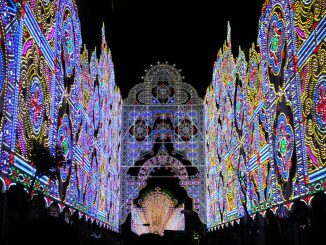 Every year, it is held in time with the famous light festival, Kobe Luminarie that is held near Nankin-machi. 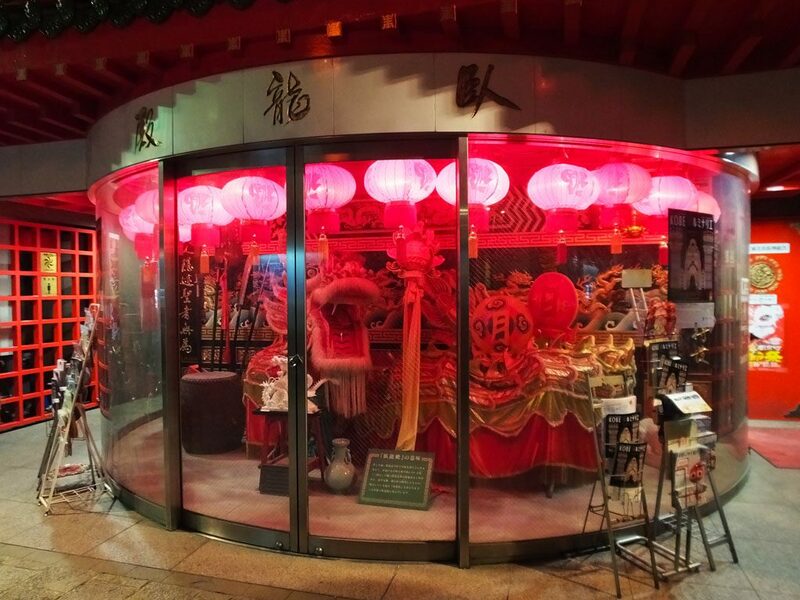 (Nankin-machi Lantern Fair is longer than Kobe Luminarie.) When it is very crowded with the visitors of Kobe Luminarie, the traffic is one-way and people must walk on the road from the Nankin-machi direction to Kobe Luminarie, so I recommend going to Nankin-machi Lantern Fair first, and then going to Kobe Luminarie. 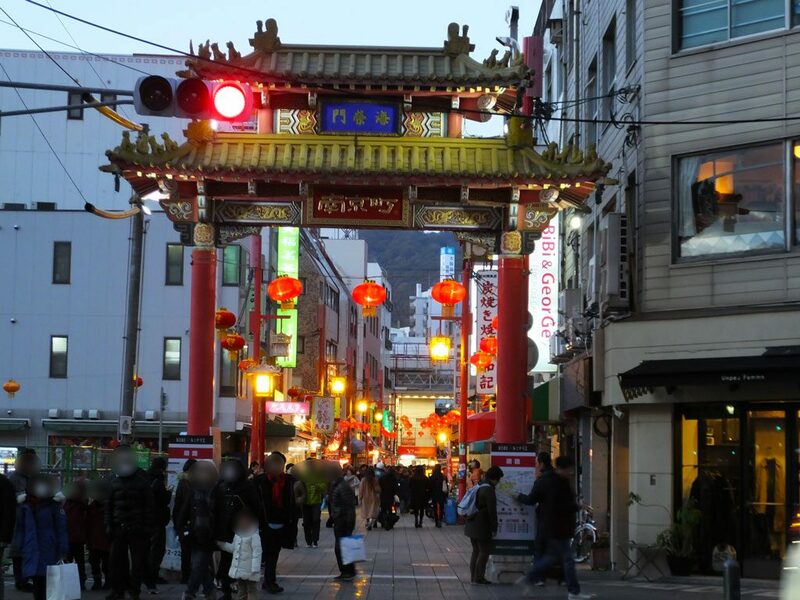 Actually, Nankin-machi Lantern Fair started because they thought “Kobe Luminarie entertains people with the Western lights, so Nankin-machi will entertain them with Oriental lights.” What a great hospitality! 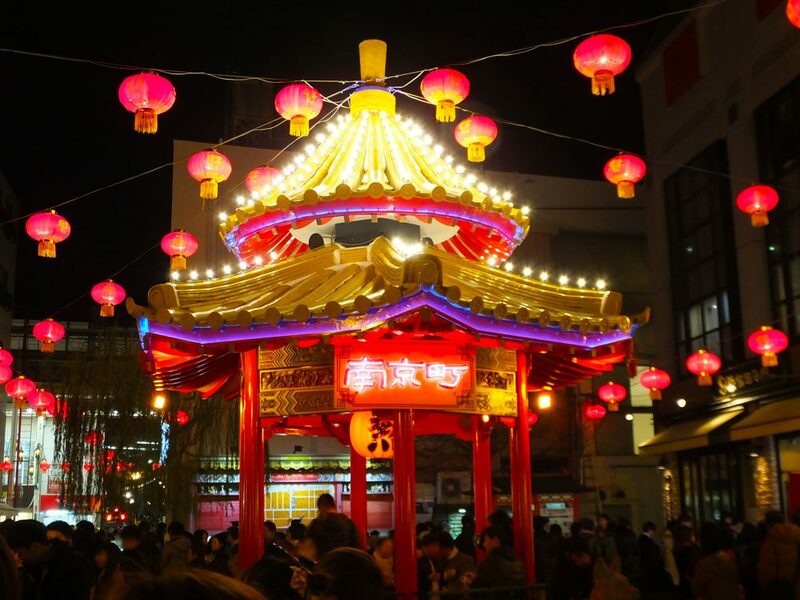 I went to Nankin-machi Lantern Fair (in 2017). Let me show you the pictures I took. The weather was chilly, but I had a wonderful time there. Lighting hours: 4:00 p.m.～10:00 p.m. 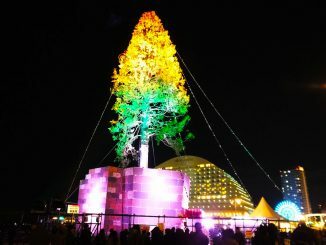 The lighting ceremony: 12/7 (4:40 p.m.～) ※Estimated time of the lightning is around 5：00 p.m.